The new Stanley hi-vis folding and retractable knife all in one is a great addition to most tool kits. All metal body construction ensures consistent performance. 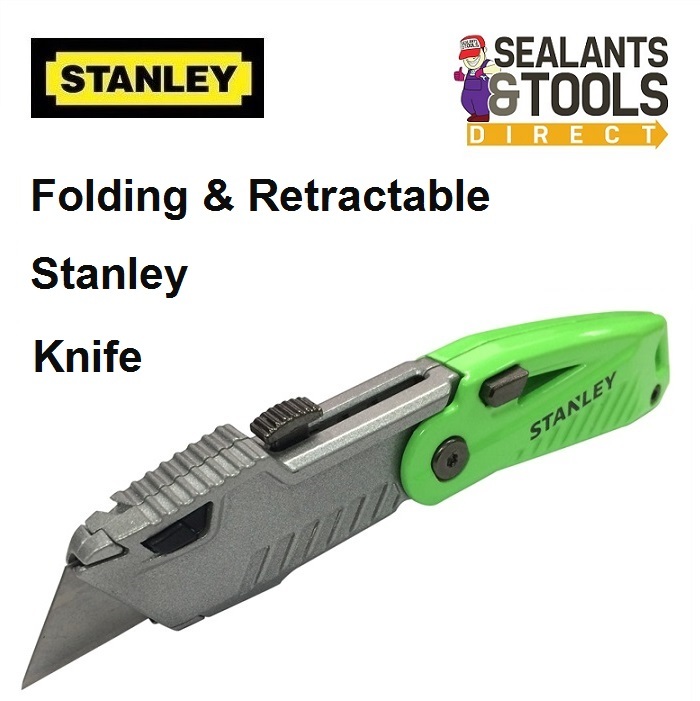 Demonstration Video of the Stanley Hi-vis Folding and Retractable Knife. The front half of the knife can be folded into the body at the touch of a button, ensuring safety during transit. The knife blade is also fully retractable via the metal slider at the top of the body. The body is Hi-Vis green so that it is easy to find in the toolbox.